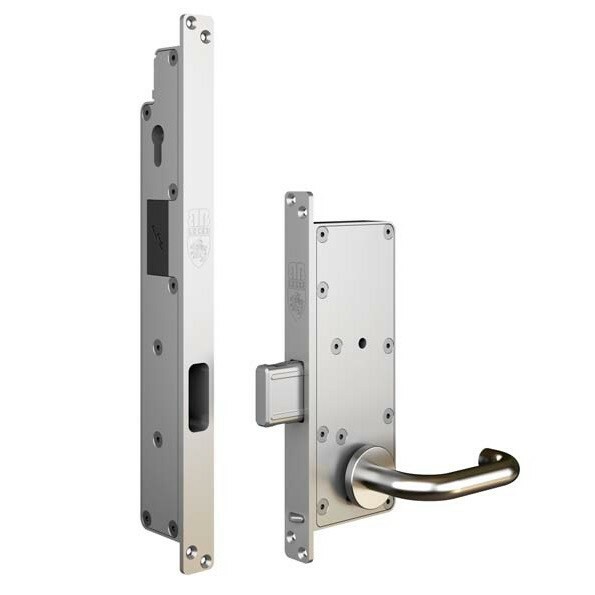 Locks for very sensitive applications: prisons, psychiatric hospitals, isolation rooms, weapon rooms, panic rooms etc. 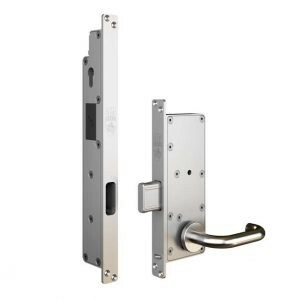 Consists of a mechanical lock (with a massive sliding bolt) in the door leaf and a electrical striker plate (with 2 locking pins) in the door frame. 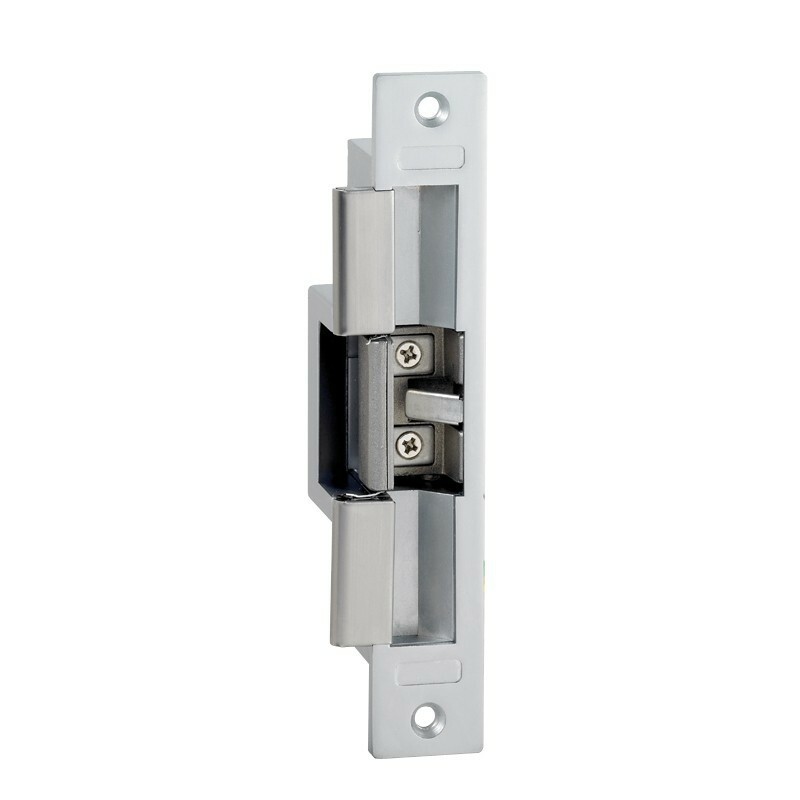 When the sliding bolt is in fully ejected position it is blocked by these 2 locking pins. 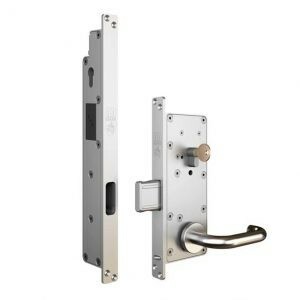 In this locked position the door leaf and door frame are connected to each other. 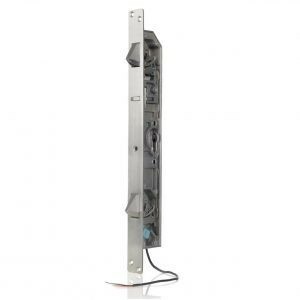 Consists of a mechanical lock (with a massive sliding bolt) in the door leaf and a electrical striker plate (with 2 locking pins) in the door frame. 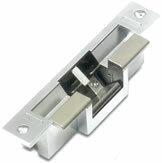 When the sliding bolt is in fully ejected position it is blocked by these 2 locking pins. In this locked position the door leaf and door frame are connected to each other. 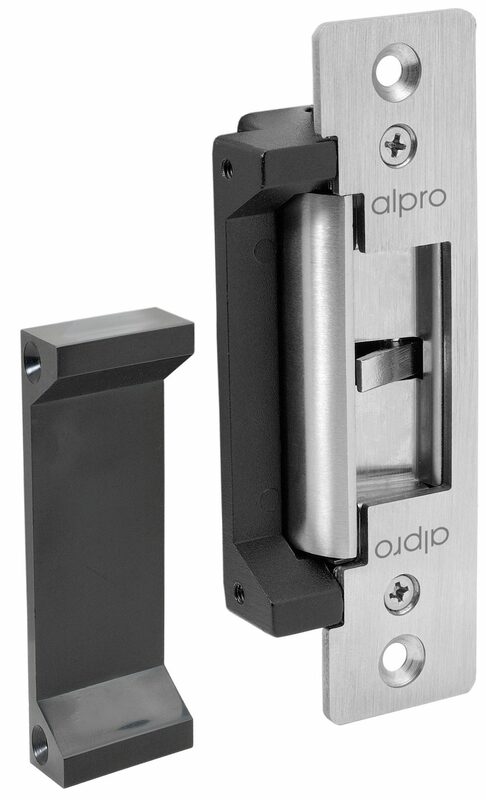 The sliding bolt can additionally be blocked mechanically in the lock itself using the cylinder in the lock. 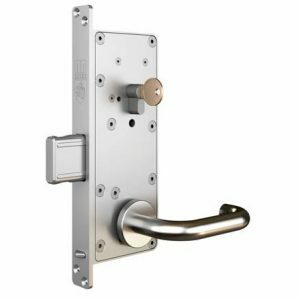 Mechanical lock with a massive sliding bolt in the door leaf. 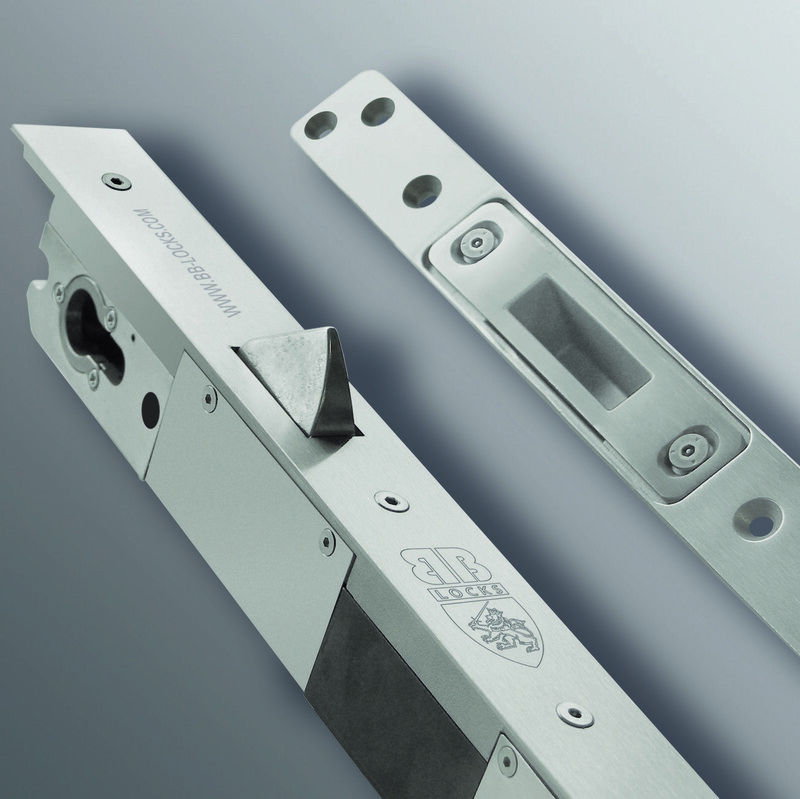 The sliding bolt can be locked mechanically (in the fully ejected as well as the fully retracted position) using a cylinder. Handles and cylinders not included.